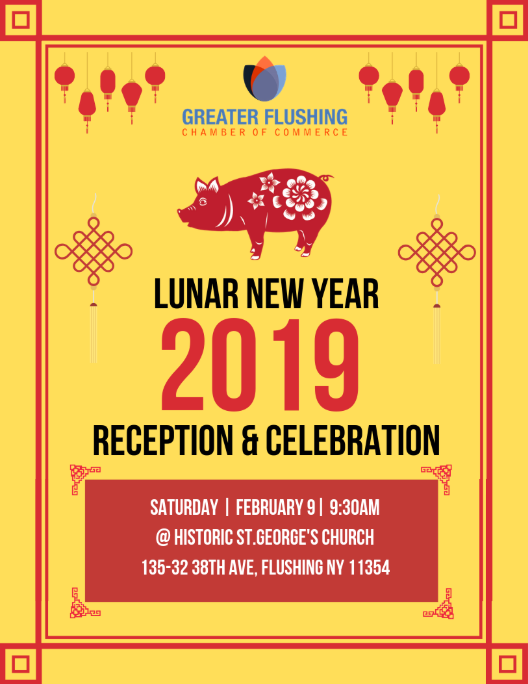 Home > Celebration > Celebrate the Lunar New Year in Flushing! The Year of the Pig begins Tuesday, February 5th. One of my favorite things to do on the first day is try to catch a glimpse of the many lion dancer troops that make their way in and out of local businesses with their cymbals clanging and drums beating to ward off evil spirits. My second favorite thing to do, of course, is eat, and there are many traditional foods associated with the Lunar New Year. These include jiao zi, crescent-shaped dumplings whose name sounds like the word for bidding farewell to the old and ushering in the new and whose appearance resembles that of a gold ingot denoting prosperity. Zheng yu, or whole steamed fish, is also associated with wealth and prosperity because it sounds like the word for surplus. The 17 types of steamed dumplings here are lovely, but for a real treat get the ten-piece fried lamb dumplings, served as a wreath of deliciousness connected by a lacy web of crispy dough. Most folks order zhe bu yang rou hui mian, or lamb noodle soup, filled with springy hand-pulled noodles, but a great dish to share with friends is da pan ji, or big tray of chicken. It consists of a bed of long noodles—associated with longevity—topped with a spicy chicken and potato stew humming with Sichuan peppercorn and star anise. This restaurant’s Chinese name, Bi Feng Tang, references Hong Kong’s Causeway Bay, a luxe district that was once a fishing village, so it’s no surprise that it is a perfect place to share a whole steamed fish to usher in the Chinese New Year. For a genuine Hong Kong style breakfast, check out this wildly popular hawker stand that makes chang feng, or steamed rice rolls, the old-fashioned way by grinding dried rice with water to produce a batter. My favorite is the shrimp and egg topped with curry fish balls, peanut soy sauce, sweet soy, and a dollop of the house-made chili oil. This tiny bakery on the bustling corner of Main and Roosevelt bills itself as the egg tart king. The dan tat—wobbly bright yellow custard set in a short bread crust—are lovely but, for me, the one tart to rule them all is the coconut egg tart. It eats like the love child of an egg tart and a macaroon.